I just want to thank @bafi for giving me the idea to start tracking this. He wrote a post calculating the Estimated Value of Beta Packs before and after the addition of the new legendary summoners. I want to take a look at Alpha Packs Estimated values that can be bought on Steem-Engine and a little closer look at the value of Beta Packs. I'm also using the statement @bafi got from @yabapmatt and assuming it's the same for Alpha Packs as well. Each card has a 20% chance of being rare, 4% chance of being epic, and 0.8% chance of being legendary, as well as a 2% chance of being gold. 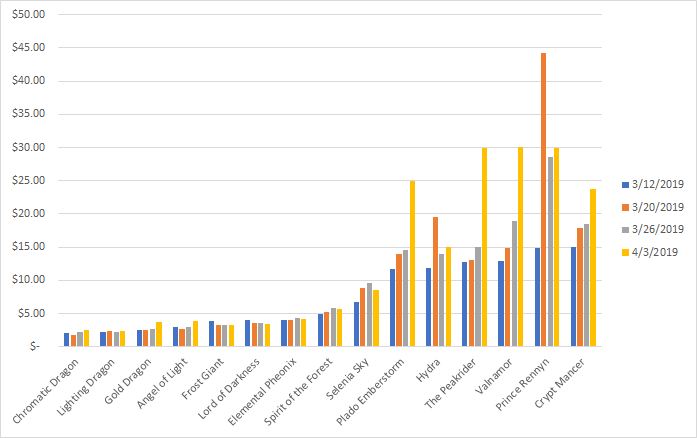 I went ahead and did it a little different than rafi and calculated the % chance of pulling each type of card from a Booster pack. This gives the average value of $0.47 per card that is pulled from an Alpha Booster Pack with an average Alpha pack value of $2.37. The current lowest sell price on Steem-Engine is 6.65 Steem for 100 Alpha packs. According to CoinMarketCap the current price of Steem is $0.47 which makes an Alpha Pack price of basically $3.13. If you buy 100 Alpha Packs and pull the "max value cards" for each of the 5 cards or get better than average luck (getting at least 1 Gold Foil Lightning Dragon) you'll have Alpha Packs valued at around $9.59 per pack on average. If you get worse than average luck for 100 Alpha Packs you can have booster packs that average around $0.69 per pack. Another thing to consider when I remove the Gold Lightning Dragon from the average value of Gold Foil Legendary cards, it drops the average value of a Gold Legendary Foil down to roughly $390 or over half of the value of those cards and drops the average pack price down to closer to $1.88 per pack. This gives an average card value of $0.33 and an average Beta Pack value of $1.64 which pretty much agrees with this post. The current lowest sell price on Steem-Engine is 3.8 which with a Steem price of $0.47 means that the Beta Booster Packs are selling for around $1.78. Once again the "max" value valuation of a Beta Booster Pack is $4.61 and the "min" value of an unlucky booster pack is $0.49. Without a real "outlier" in this set, I think your Booster Pack values will be more consistent. 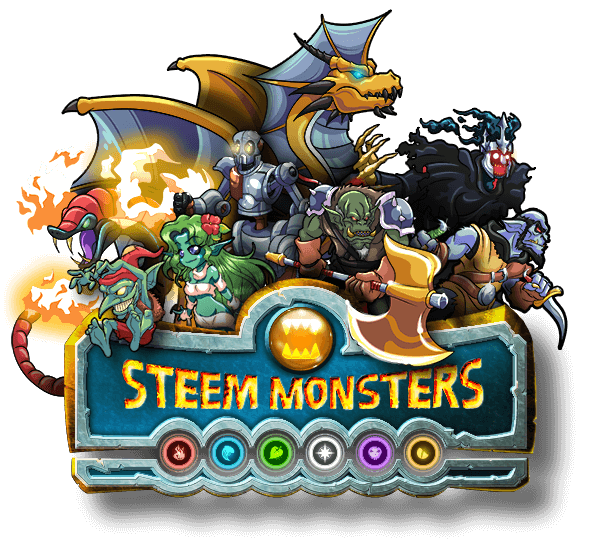 However, I do think you're better off buying the cards individually rather than relying on the luck of a booster pack to get what you need as I think the valuation of Beta Packs will remain rather flat until we get closer to running out on the SteemMonster website and they still have 450,000+ left. I've been tracking number of cards in existence and it's nice to see that the number of Alpha Cards are dropping by about 10,000 cards a week or dropping by about 2.5% per week. The number of reward cards are the fastest growing about 5% per week or by about 30,000 cards per week. I'll help you keep an eye on those Alpha Card Packs and card prices. The price movement of these cards in the next couple of months could surprise everyone going up or down.